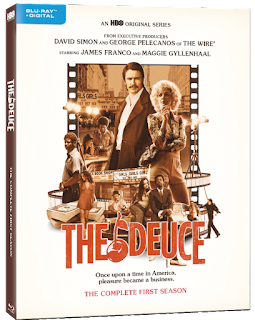 Mind on Movies is very excited to announce that we are working with HBO to giveaway The Deuce: The Complete First Season! This eight-episode series, which has a 93% Certified Fresh rating from Rotten Tomatoes, is “Vibrant…relentlessly interesting.” (The New York Times). The DVD and Blu-RayTM include exciting bonus content including exclusive audio commentaries from the cast and crew, including James Franco (Oscar® nominee for 127 Hours), Maggie Gyllenhaal (Oscar® nominee for Crazy Heart), and David Simon (The Wire, Treme, Show Me a Hero), cast interviews on this unique period in history, and more. 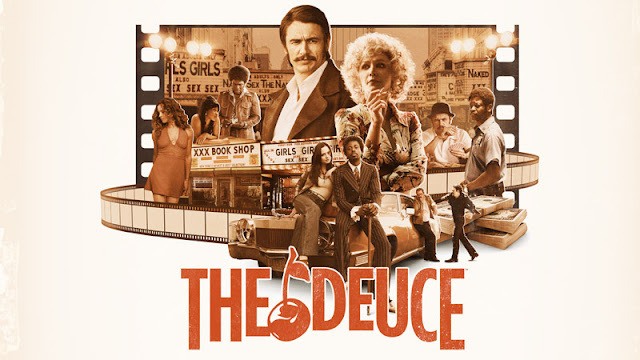 The Deuce: The Complete First Season is available for Digital Download November 27, 2017 and on Blu-ray™ and DVD February 13, 2018. No Purchase Necessary. Only one entry per mailing address per giveaway. The prize will be sent via FedEx or UPS. No P.O. Boxes please. This contest is from Mind on Movies working with HBO Home Entertainment. The entries will be checked.